The body of the product comes in two parts; the outer cap that comes in burgundy color and the main body that comes in white. It has a stick rotating mechanism. The packaging is quite hygienic. This lip balm gives a burgundy shade to your lips. The texture is extremely smooth and a bit heavy. I was really impressed by this product, the first time I applied it. It glided over my lips perfectly and gave the right amount of color to my lips. The only drawback of this product is that it tends to melt very easily, if not stored at low temperatures. I would for sure, both, recommend and repurchase this product. 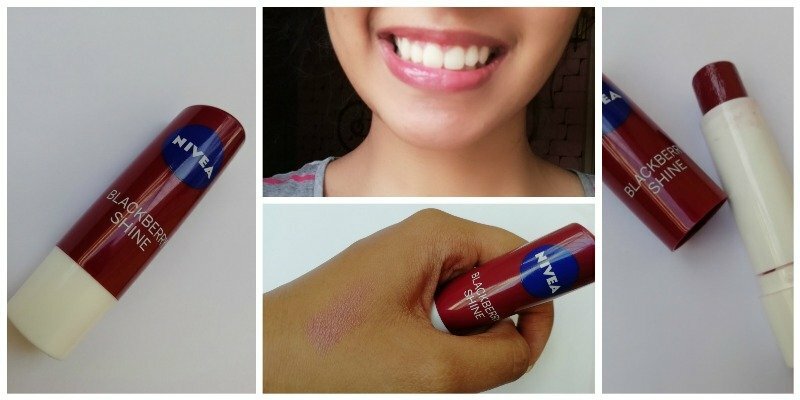 Nivea Men Lip Balm – Best Lip Balm for Men ? What is the Difference between Body Lotion , Body Butter and Body Oil ?